Off to a decent start. The body is burnt chestnut brown. Exceptional clarity with some gorgeous garnet red highlights. The lifeless off white bubbles above are a bit of a disappointment, as well as their attentiveness. Starting to get a bit concerned as the aroma doesn't boast much. However, the dark raisin and plum scents are pleasing, but there is a cranberry juice concentrate complete with freezer burn thing going on that doesn't have me very excited. And, yeah… I'm lost. Church wine meets grape cider? Red grape juice, tart apple skins, and a puckering cranberry/raspberry finish. Chestnuts? Nope. Cocoa? Perhaps a touch. Not a whole lot else going on here in the flavor department. The body is exceptionally thin. Light and watery with minimal carbonation that only amplifies this. Sweet with just a touch of tartness, and very little alcohol influence. I'll give it that it is very smooth and crisp, and very easy to drink. I get that this is a good, if not great, alternative for those with sensitive stomachs. To that point, well done. But in my humble opinion, this hardly resembles a Belgian Dubbel. There is no spice, no clove, no banana, no depth. Perhaps no actual Belgian yeast? 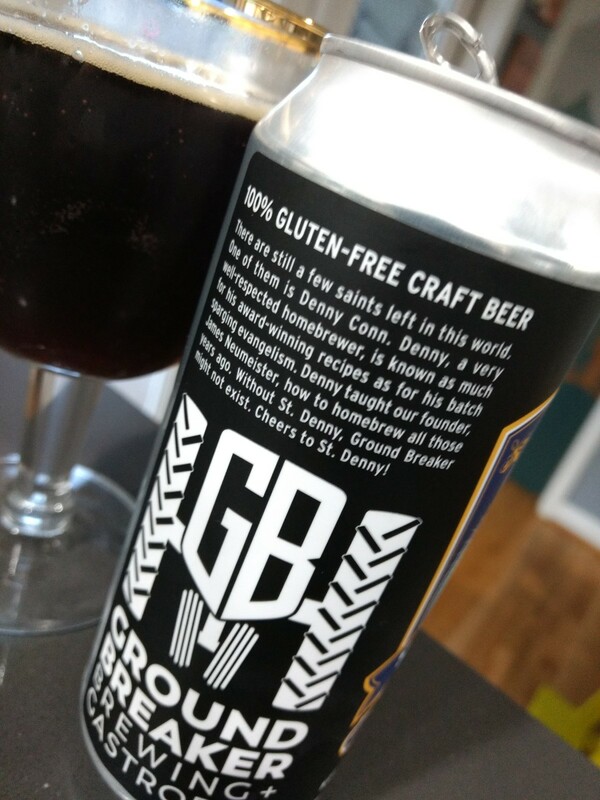 A proper Dubbel demands to be savored and sipped. This makes me want to finish it up and move on. 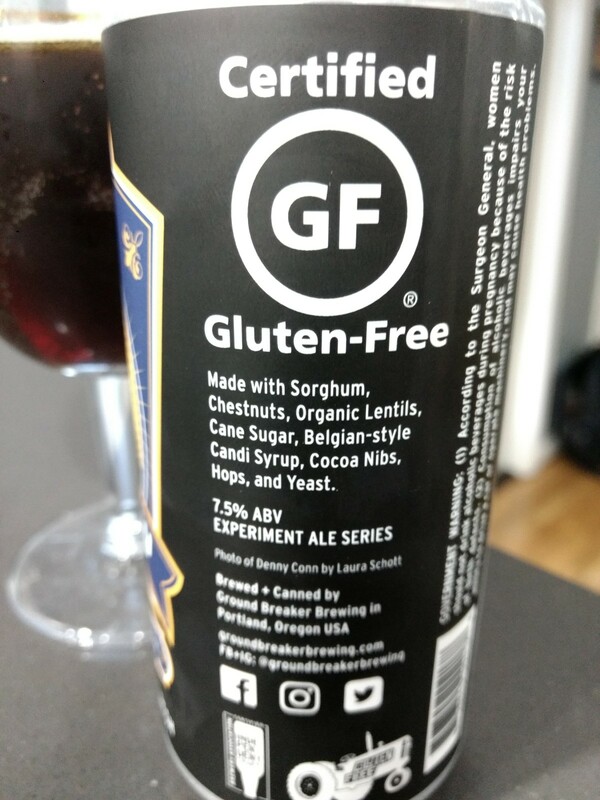 Sorry Denny Conn/ Ground Breaker Brewing… I love your inspiration, expertise, and the concept, but this one doesn't excite me. 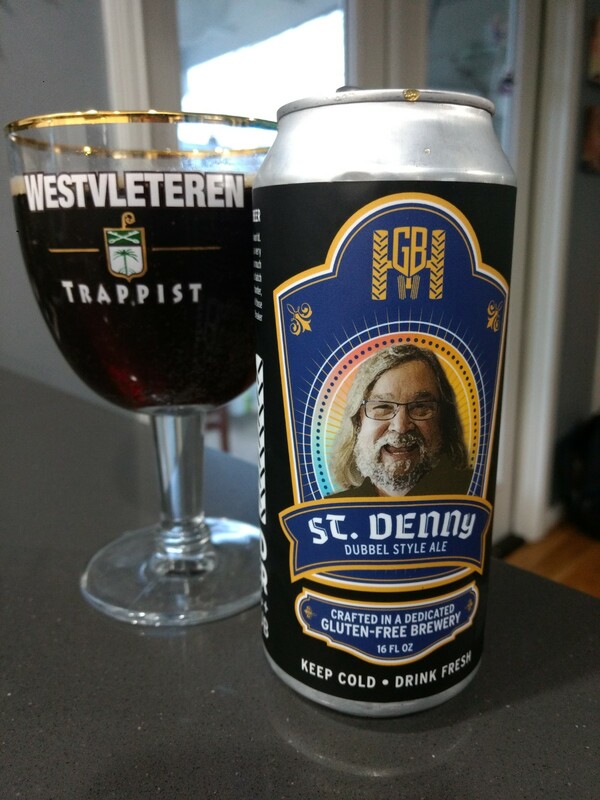 After my official, I gave St. Denny a very disappointing rating of 3.2 with an rDev of -9.3%.